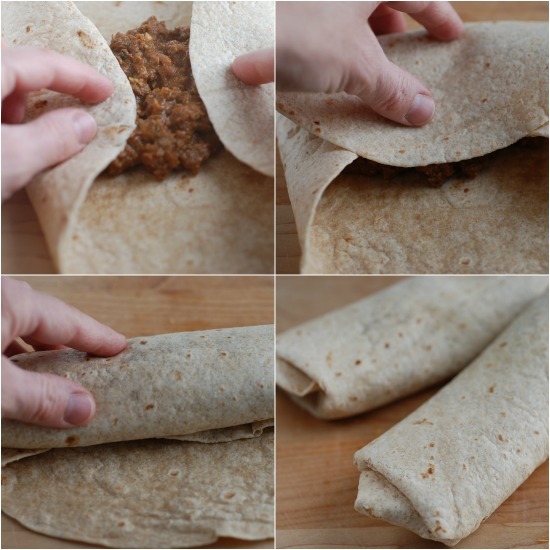 This recipe for quick beef burritos make two meals–one for tonight and one for the freezer! Thank you to the Ohio Beef Council for sponsoring this post! All opinions are always my own. I have a household full of guys who all love meat. Especially meat inside taco shells and tortillas and preferably covered in melted cheese. 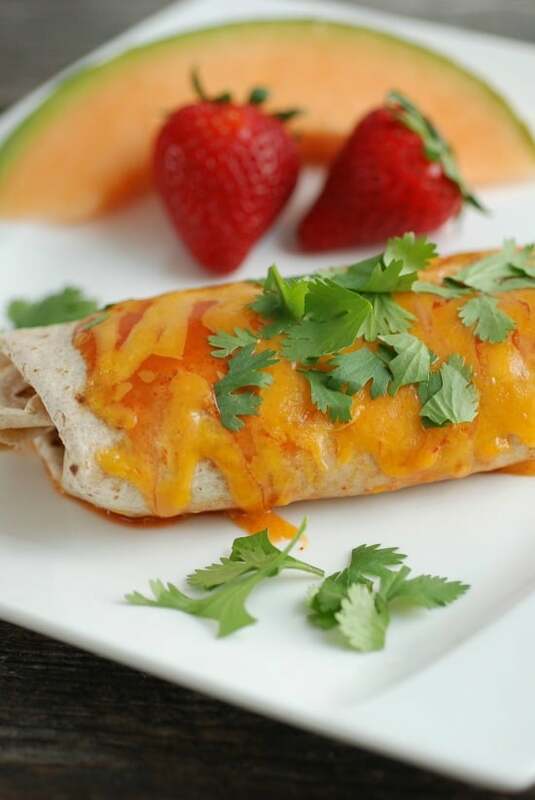 Beef burritos are a slam-dunk in my house. They’re reliable, easy, and satisfying. 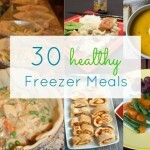 They also freeze beautifully (read: How Your Freezer Can Make Home Cooking Easier ). 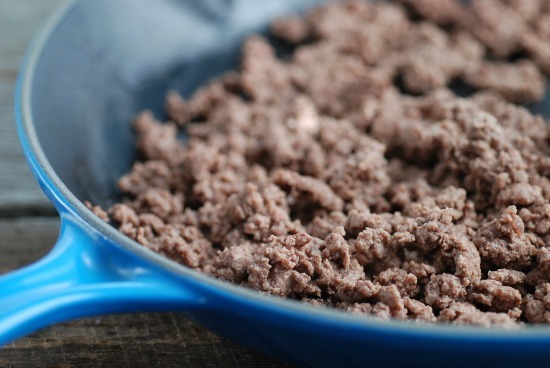 We eat beef regularly, whether it’s spooned into soft tacos or cooked into a meaty pasta sauce. It’s a great source of essential nutrients like zinc, B vitamins, and iron–and you can get a lot of nutrients in a small package (case in point: three ounces of beef have the same amount of iron as eight ounces of chicken breast). Even if you’re trying to eat more plant-based sources of iron, adding some beef into your meals can help your body absorb that plant-based iron even better. Beef is also an excellent source of protein. A three-ounce serving has about half the protein you need each day. When shopping for beef, my personal preference is organic or grass-fed–or I buy from a local farmer here in Central Ohio. The Ohio Beef Council represents the 17,000 beef farming families in Ohio, including both conventional and organic. This recipe was inspired by The Pioneer Woman’s Beef and Bean Burritos, but I’ve made some changes. The biggest: I’m stretching the beef further by adding mushrooms. 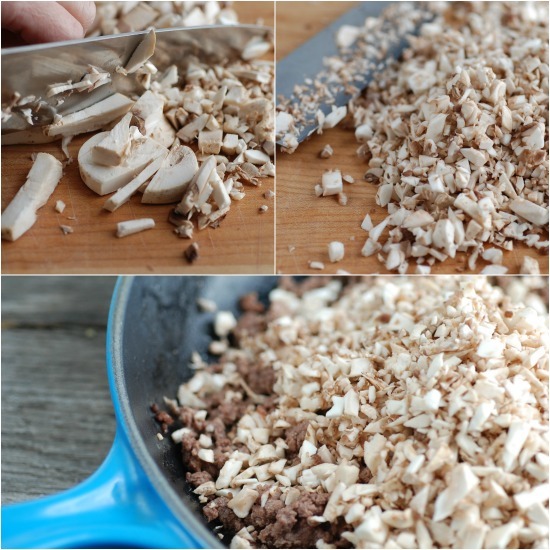 Finely-chopped white mushrooms practically disappear into cooked ground beef. 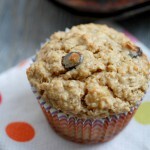 It’s a nice way to add in extra vegetables without changing the taste or texture (especially good for picky eaters). By adding both mushrooms and beans, you can get two meals instead of one from a pound of ground beef. Brown the ground beef. I don’t drain it after cooking, because the mushrooms will absorb the liquid. Finely chop the mushrooms (I did this by hand but you could also toss them in your food processor). Add the chopped mushrooms to the meat. Sprinkle on your spices and add the enchilada sauce. 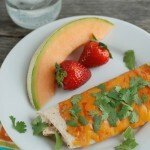 If you don’t want to use store-bought enchilada sauce, try this recipe from The Lean Green Bean. 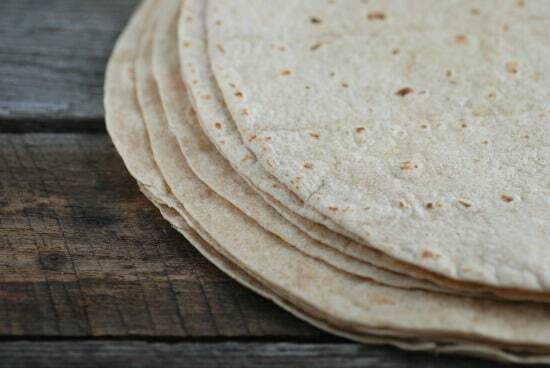 I choose whole wheat tortillas, which offer more fiber and whole grains. Pick “burrito” size tortillas. Spoon the beef mixture evenly in the center of the 8 tortillas (about a heaping 1/2-cup onto each). 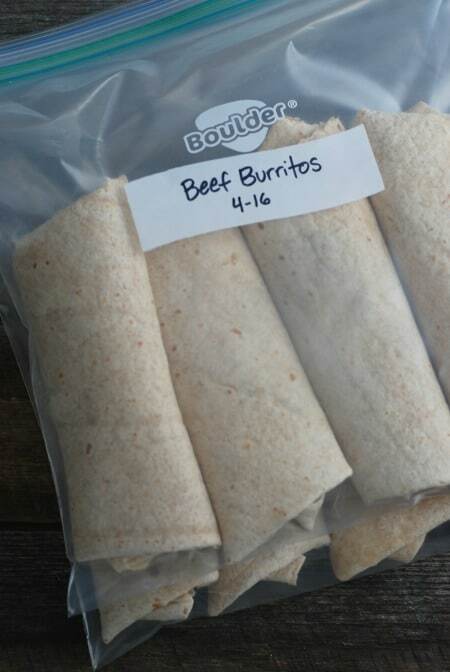 If these beef burritos are destined for the freezer, go ahead and roll them up. If you’re serving them immediately, fill with your favorite toppings if you’d like (such as guacamole, sour cream, salsa, or more veggies), then roll and serve. 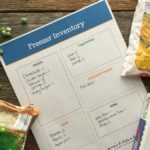 For freezing, I package mine in gallon-size freezer bags and lay them flat in the freezer. To reheat from frozen: Thaw in the refrigerator. I like to cover the defrosted burritos with more enchilada sauce and cheese and bake in the oven (covered with foil) at 350 degrees until hot and bubbling. But you can also heat them up in a skillet on the stove top until browned and serve with your family’s favorite toppings. (Need a quick homemade guacamole recipe? Try my No-Fuss Guacamole). 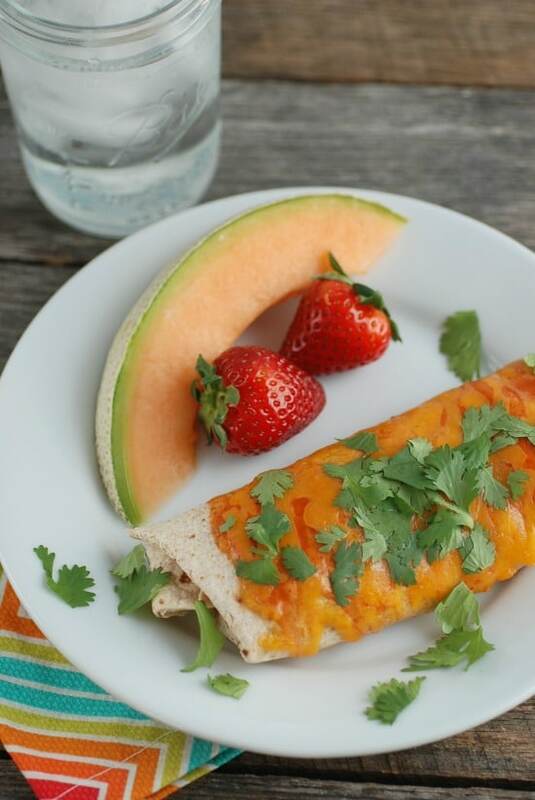 And consider defrosting one of these burritos for lunch too: An analysis of studies found that protein spread throughout the day (25-30 grams at each meal) was more effective for weight management than getting most of your protein at one time of the day. Add oil to skillet set over medium heat and swirl to coat. Add ground beef and cook until almost browned. Add chopped mushroom, spices (chili powder through salt), and enchilada sauce to beef mixture and stir to combine. Lower heat to medium-low and simmer 5 minutes, stirring frequently. Add beans and cheese, stirring until well combined. Remove from heat. Place a heaping 1/2-cup beef mixture in the center of each tortilla. If serving immediately, add choice of toppings (such as sour cream, guacamole, or cilantro). Fold edges of tortilla in, then fold top over and roll tightly. 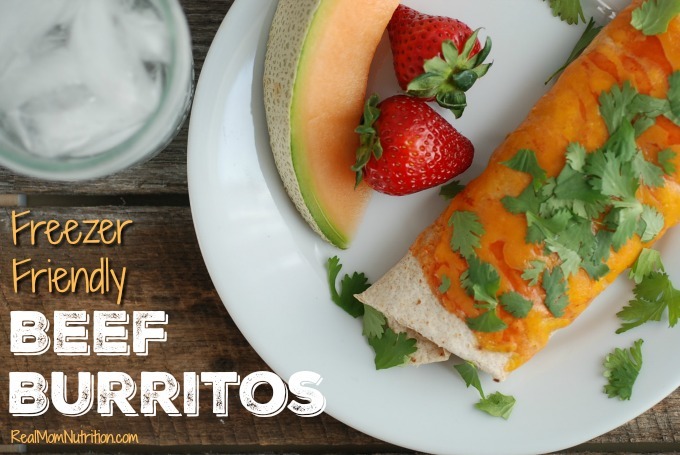 If freezing, roll burritos and place on a baking sheet to cool (if you have room in your freezer, set the tray inside for about 10 minutes). Place burritos in a labeled gallon-size zip-top bag and freeze for up to three months. Learn more about the Ohio Beef Council, and get more recipes featuring beef here. These look very good and fast enough for a weeknight. As your kids are getting older (& hungrier) are you finding yourself adjusting the volume of what you serve? or are you just lowering your expectations for leftovers? Thanks Stacy. Yes, I now need at least a 1-1.5 pounds of meat for everyone unless I stretch it like I did here. These burritos are pretty filling that I eat one, my husband eats two, and my kids split one. I also serve things on the side, like fruit. Okay now anything with mushrooms gets my attention! Love it! Hope you like them, Gail! These would be better made with pork or chicken. My family always loved beef and we ate a lot of it until beef producers doubled then tripled the retail price of beef. They excused their greed by saying a drought had caused shortages but there are no empty bins in the meat case — if you are foolish enough to pay the big bucks you can get all the beef you want — no shortage, all a lie to overcharge us. So, long story short, our family no longer buys any beef, and we’ve learned how truly wonderful pork and chicken are these days — the quality and flavor are excellent and the price is at least tolerable. I encourage everyone to boycott beef until the greed of beef producers is tempered. Katelin–I’m sorry you’ve had that experience. I buy my beef from a local farmer and have had a great experience with it. I try to buy bulk for both beef and pork from local farmers. You can pick which cuts you want and it’s nice to know where it’s coming from (you can even visit the farm sometimes!). 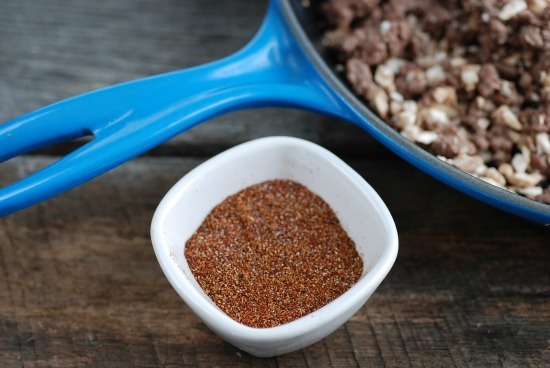 Use ground pork instead of beef. Just as tasty for about 1/3 the expense. Putting beef in a burrito is like putting gold dust in it. Waste of money. Shelby–I haven’t found ground beef to be that much more expensive than ground pork or chicken. But you could certainly make this recipe with either of those as well. Oh my these just sound yummy. Love this type of food. Simon.